We know the Arts informs everything we do—everyday. The GTA is the most diverse and vibrant art scene in Canada. This is because ALL of us—many of us volunteers—keep the art scene going. We give our time, our art, and our passion to this. This is purely and truly a ‘labour of love.’ We know the value of words and images. Check out our Events Page right here. The Artis Events page showcases over 100 Lit Events, with lit-erally at least one event every night of the week in GTA. We know that art is our cultural voice. The Artis exists because of you. And this incredible art scene that IS the GTA exists because of YOU. Let’s keep the scene growing, because art is our cultural voice. Without art, we, as a people, become silenced. We need not say more. Join us and become a part of this amazing scene. Michelle Hillyard on The Artis with Ivy Reiss: Episode 16, March 2019. 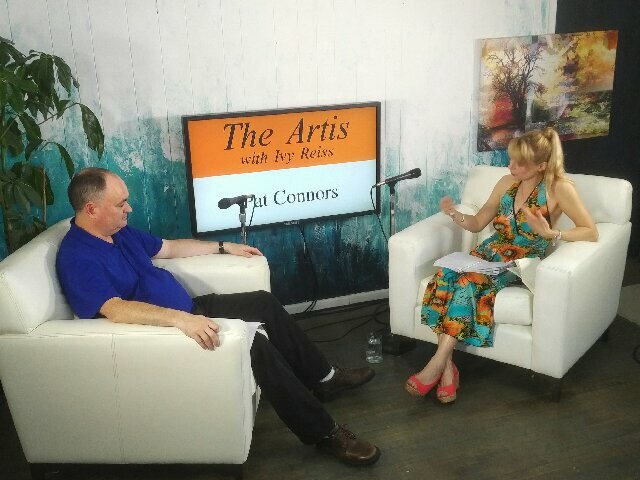 Chatting with Pat Connors about 100,000 Poets for Change and his artistic connection to Cuba. Ivy Reiss interviews Legendary Canadian Singer, & Songwriter Max Layton (left), and Poet and Host of 89.5 CIUT FM’s Howl Radio, Valentino Assenza on August 17, 2018 at ThatChannel studios. Providing an independent platform for all of the GTA’s voices since 2006. Visit and you can add your voice too! Order past issues here or find The Artis magazine in Indigo Spirit in Oakville, ON, and other bookstores and libraries. 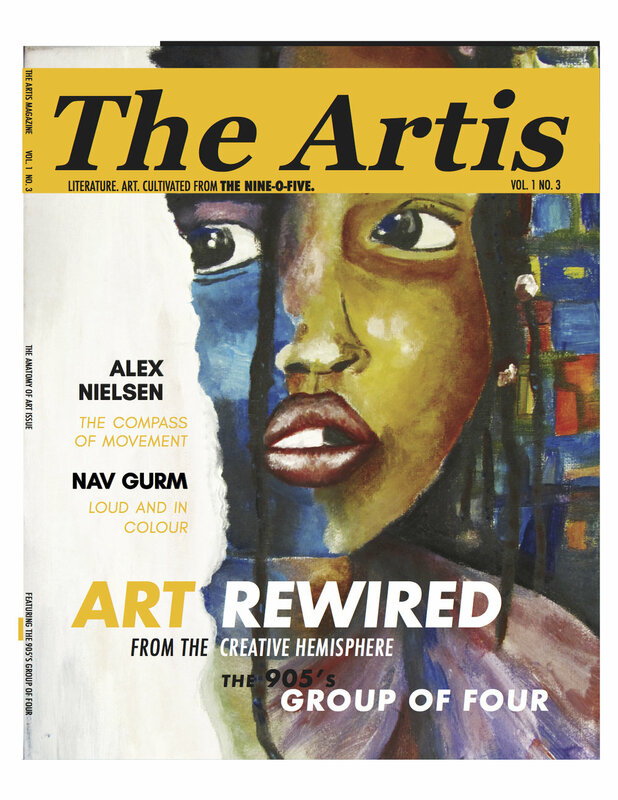 The Artis 4 will be off the press May 2019. The Artis was honoured to be a Finalist at the 24th annual MARTY Awards! Publisher & Editor-in-Chief of The Artis magazine, Ivy Reiss, at the MARTY Awards ceremony on May 10th 2018, holding The Artis team’s hard earned certificate! In less than thirteen months from our launch and three issues later, The Artis magazine was nominated as a Finalist in the "Creative Design—Emerging" category at the prestigious MARTY Awardswhich are akin to the Oscars of the Art & Culture World—and almost unprecedented feat for a #startup magazine! The MARTY Awards is the biggest art & culture event of the year, with their awards spanning accross all generes: literature, music, performance, design, and more. Hosted by the MIssissauga Arts Council, past winners include Billy Talent, Keys to Belfast in Music, Rebecca Zseder and Larissa Fleurette Ho in Literary Arts, just to name a few. See this years winners in the button below! The gorgeous ballroom hosted 700 guests, and highlights from the incredible awards honouring both emerging and established artists, with performances, special guests, important speeches, and more. If you like what you see and hear, please take a moment to click on our new GoFundMe campaign. 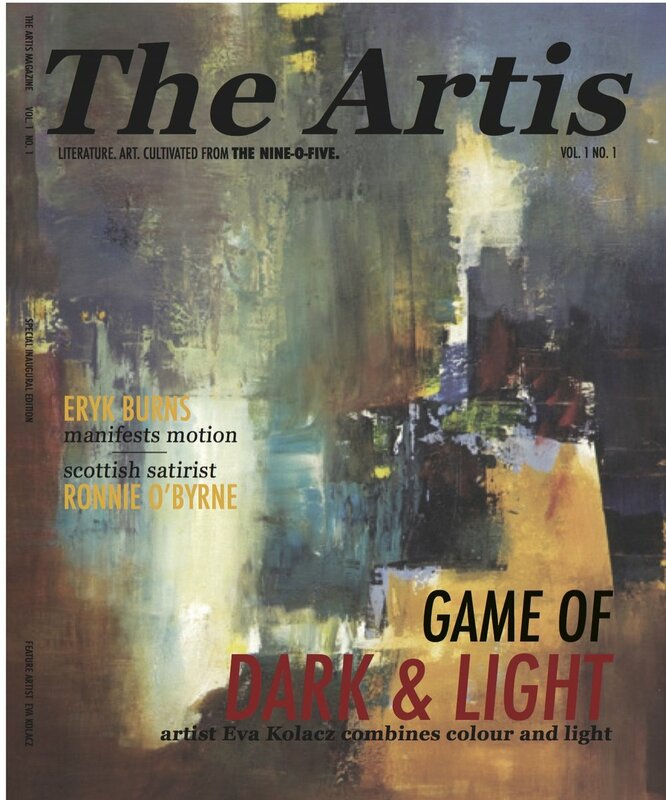 Learn more about how The Artis has quickly become the 905’s leading art and culture magazine. Order your VIP subscription NOW and never miss an issue! 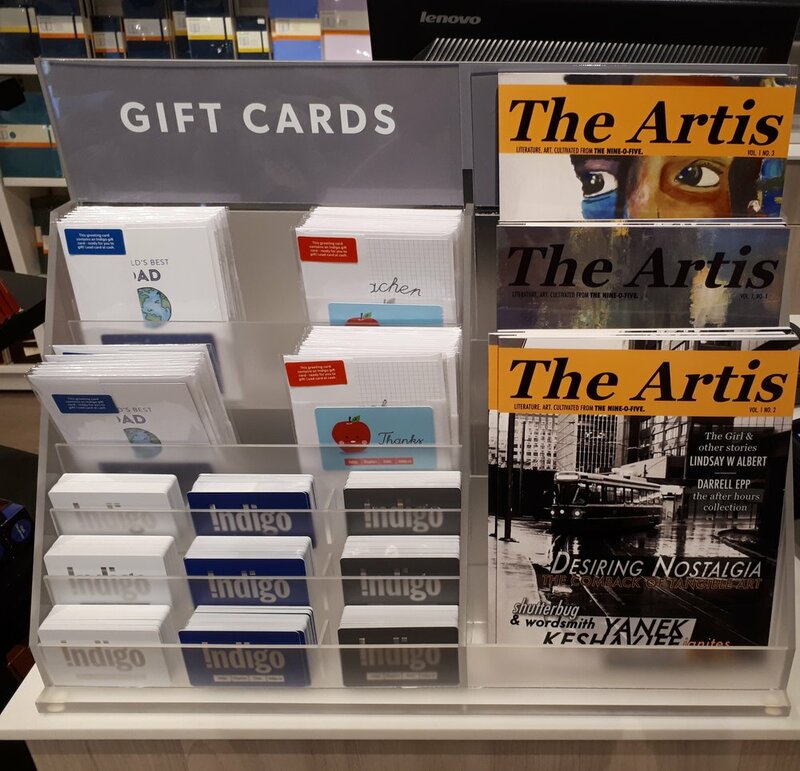 At left, all three issues of The Artis on sale at the Indigo Spirit store in Oakville. There lit-erally is an Event every night of the week!